Peanut butter is a pantry staple for most folks. If you have kids, chances are you have an extra jar stashed in the cupboard. What lots people don’t know is that many types of peanut butter contain loads of dangerous hydrogenated fats, sodium and sugar. Always a good idea to read the labels. The following recipe is developed using fresh, high-oleic extra virgin olive. When the right olive oil is used for this recipe, its’ flavour takes a back seat to the rich flavor of roasted peanuts. You will be hard pressed to detect it and your heart will thank you for the change! You can use other nuts, such as almonds, to make a variety of healthy ‘butters’ with this same recipe. 1/4 cup Olive Us High Oleic, High Polyphenol EVOO such as Picual, Frantoio/Leccino, etc. If desired, a small amount of sugar can be added at the same time as the salt, but we don’t find it’s really needed. Place the peanuts in the jar of your blender. Add the salt if using. Pour the olive oil over the peanuts and wait 30 seconds until the oil flows to the bottom of the jar. Turn the blender on high. 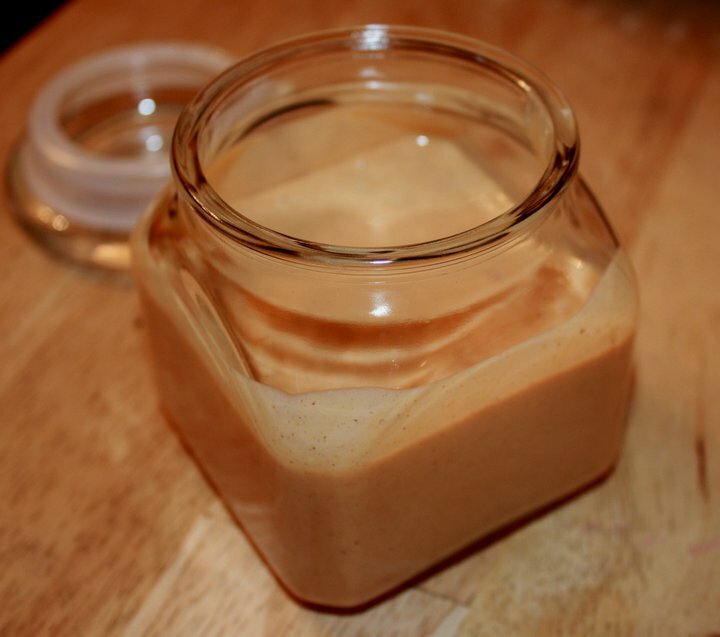 Process until the desired level of creaminess or up to two minutes for super creamy peanut butter. It may be necessary to turn of the blender a few times and scrape down the sides of the blender jar. Store tightly covered in the refrigerator for up to 6 weeks.